We are celebrating with a special tea for a new granddaughter that was born ! Cissy and I made some pumpkin krispie treats, and she got to take some home to her siblings. My sister had told me how she made these cute pumpkins for her co-workers. Cissy and I just made the regular Rice Krispie treat recipe, but we colored the marshmallow mixture a pretty orange, and then shaped them into balls. We sprayed our hands with cooking spray, but really, water on the hands is the best for keeping them from sticking. We then put a Hershey Kiss on top and then Cissy made some stems with some green icing. 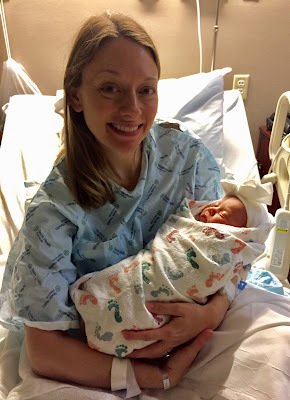 I have a new granddaughter that was born to my youngest son, and daughter in law. Isn't she beautiful?? Her name is Hayden Catherine and she was born on October 14th. Mama and baby are doing great! Harper is now a big sister!! I don't know what's cuter Kitty, Cissy, her treat creations or the precious new Harper! What a treasure she will be! I bet Cissy will be a great cousin! So sweet, congrats to your son and DIL! Congratulations, Kitty, on your new granddaughter! Such a happy and precious family event! Your Cissy is getting cuter all the the time and I do believe she looks like her Nana! Those treats look yummy too. Wish I had a Cissy in my kitchen! Maybe some day. Thank you for sharing your sweet post with us. What a precious family! Your treats look sweet, too. Congrats on the new one. What a perfect time to have one. October is a month full of birthdays and celebrations for us too. Precious times and two very precious girls! What a yummy treat and memory you shared together! 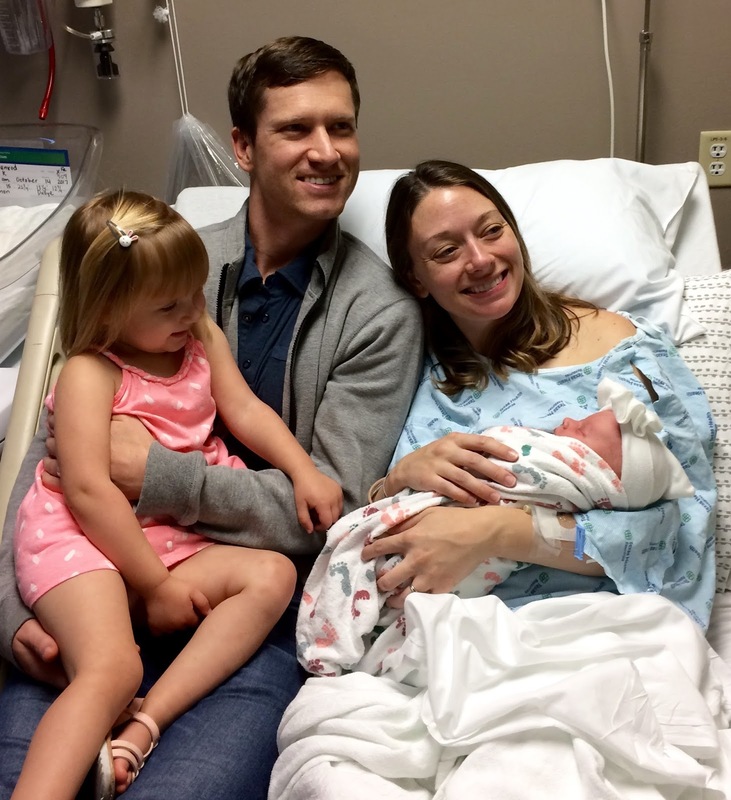 Congratulations on the new baby girl! "Sugar and Spice... And everything Nice!" Congratulations on your newest granddaughter Kitty. I hope you live close enough to get to cuddle that sweet newborn. 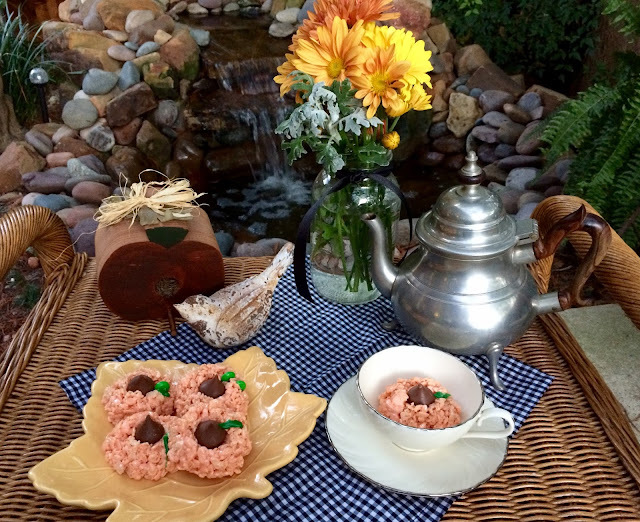 The pumpkin Rice Krispie treats are a great idea! Another grand baby! How wonderful! Congratulations Kitty! She is beautiful! These treats look pretty yummy too! Have a lovely week! Congratulations Dear Kitty. That precious baby is beautiful! What an amazing gift from God. Oh I just love the picture of her. I want to hold her and smell that baby smell. LOL! I know Cissy enjoyed making those treats with you. They look so yummy! Hugs and blessings dear lady. P.S. I have some great news too????????? Oh kitty!She is so beautiful!Congratulations!Great post.Hugs to Cissy and you. Warm congratulations on a new grandgirlie. She sure is adorable and it looks as if she will be a favorite with her big sister. Cissy’s smile could light up the world. Love it! Congratulations on your new granddaughter, Kitty. Baby Harden is adorable! Also adorable are those pumpkin krispie treats and of course, your kitchen helper, Cissy! Congratulations to your whole family! That bow on her head is just too cute!!! The Pumpkin treats look delicious! Kitty, congratulations on your new grand baby! What a sweet name! Love your pumpkin Krispie treats. The Hershey kisses are perfect! The treats are cute and the baby is beautiful! Congratulations! How sweet! Beautiful baby! Beautiful family! Congrats to all! The pumpkin krispie idea is SOO cute too. Way to go Cissy! Keep up the good work....in between y'all loving on that precious new babe. Oh, how sweet! Congratulations to you and your dear family! And the rice krispy treats look so yummy! Kitty,congratulations on the newest granddaughter! They are a beautiful family. Your Cissy is a very special assistant. I bet her siblings loved the take home treats. Congratulations, Kitty! What a sweet family. And that Cissy! Yes, I think she looks like you. She's so pretty and vivacious and has so much fun in the kitchen with you. What precious times you have together! Hi Kitty, Congrats on your new granddaughter. She is beautiful. Love the photo of the precious family. The krispy treats look so delicious and perfect for the season. Love your sweet fall setting for tea and treats. Cissy is so cute holding her treatful creations. Have a wonderful new week and blessings to your sweet family!! Congratulations on baby Hayden. Love Cissy is a pretty little thing and great assistant. Little Miss Hayden is just adorable, Kitty...congratulations to all! 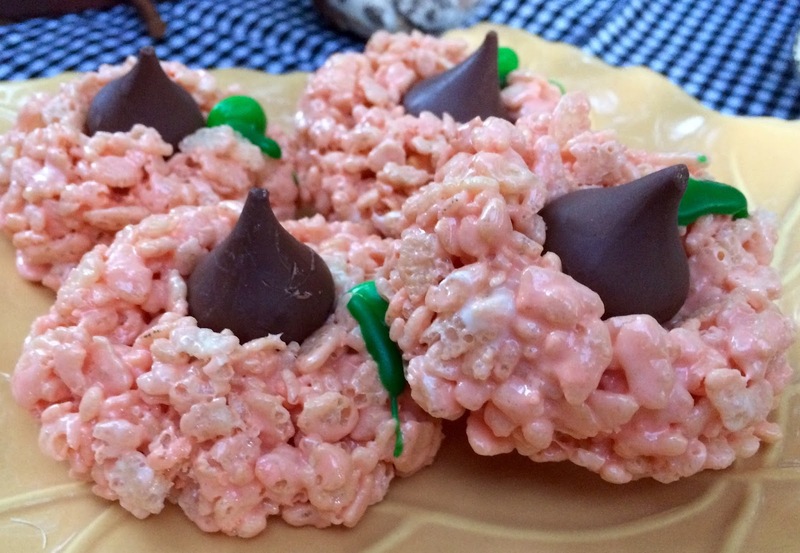 I bet those pumpkin rice krispie treats were good...especially with the chocolate kiss! Hi Kitty, congrats on the new baby girl! I bet you and Cissy had so much fun making the treat with the candy kiss. Thanks for sharing how to make them at C&C with J&J. 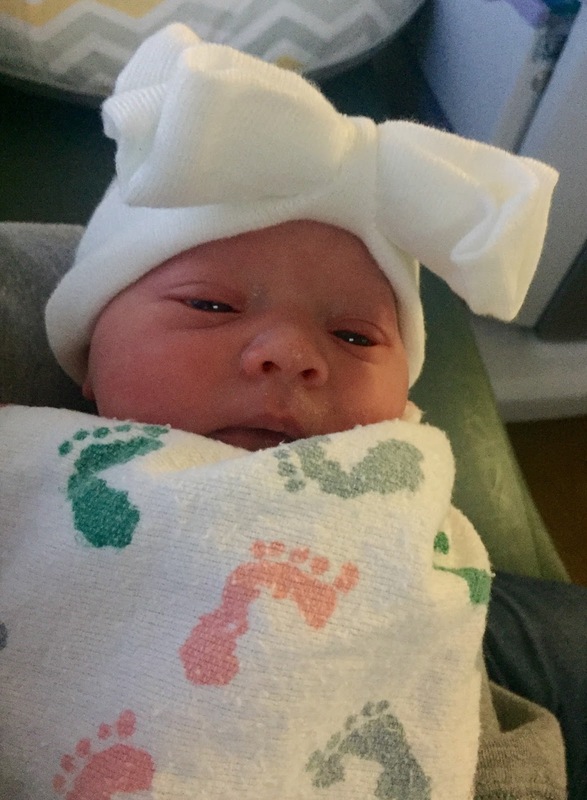 Congratulations Kitty, Your new granddaughter is a cutie. Kitty, what a beautiful family you have! I always love seeing what you and Cissy get up to in the kitchen. So happy to see the new little branch of your family tree!! SWEET!!! I'm impressed with your Krispie Treats pumpkins. I tried shaping them into eggs one year & it was a complete flop. Not easy! Love seeing your little Chef's proud smile!!! Now that I have met your sister I know you understand true sisterly love! AND your Krispie Treats look wonderful! We have our annual pumpkin carving family party coming up - I'm bringing sloppy joes but I may need to make those too - cute cute cute! I saw on Pinterest that someone made cupcakes and used a broken piece of curved pretzel as the stem for her "pumpkin" and it looked great too. Congratulations on your new precious new Granddaughter, she is adorable! 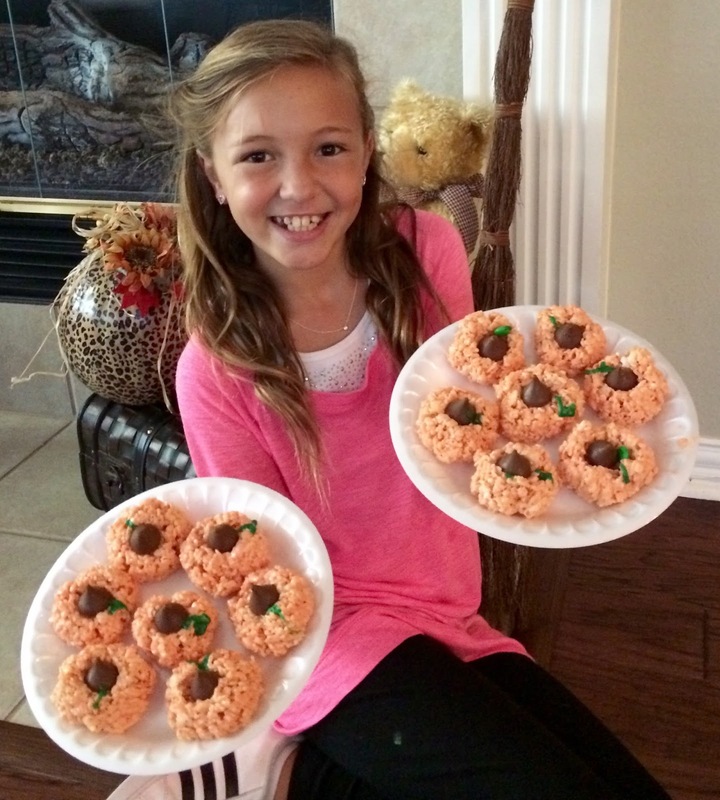 You and Cissy have so much fun together and your Pumpkin Krispie Treats look awesome. These will be a very special treat for a fall celebration. Thanks so much for sharing your awesome post with Full Plate Thursday. Have a great weekend and come back to see us real soon! Your new granddaughter is absolutely precious Kitty! So so cute!! Love the fun rice krispy pumpkins. Thanks for sharing with SYC. Congratulations, Kitty! She is a darling. Congrats on the new grand! She is darling and what a lovely family! I am sure the special treats were appreciated! Late visiting...big storm and no power the last few days, so taking advantage of a break to visit! Thanks so much for linking to Tuesday Cuppa Tea. Your treats look amazing, like always. Blessings, love, and hugs to you! Your recipes look oh so good. husband wife problem solutions You have done a great job. I will definitely dig it and personally recommend to my friends. I am confident they will be benefited from this site..